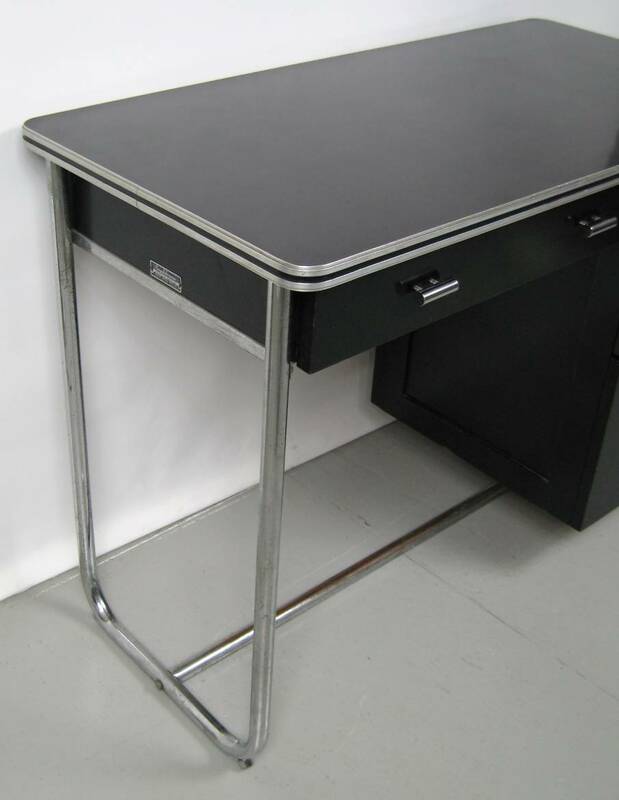 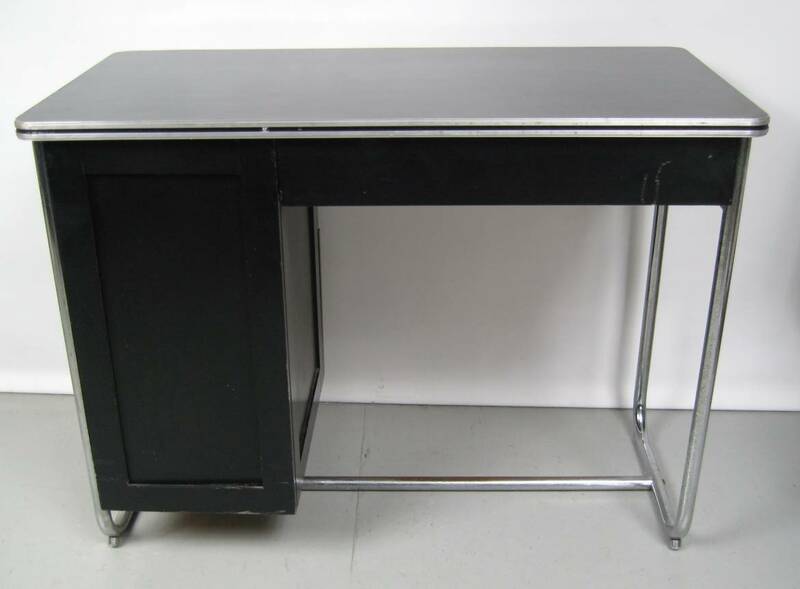 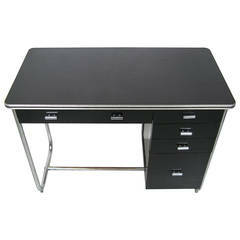 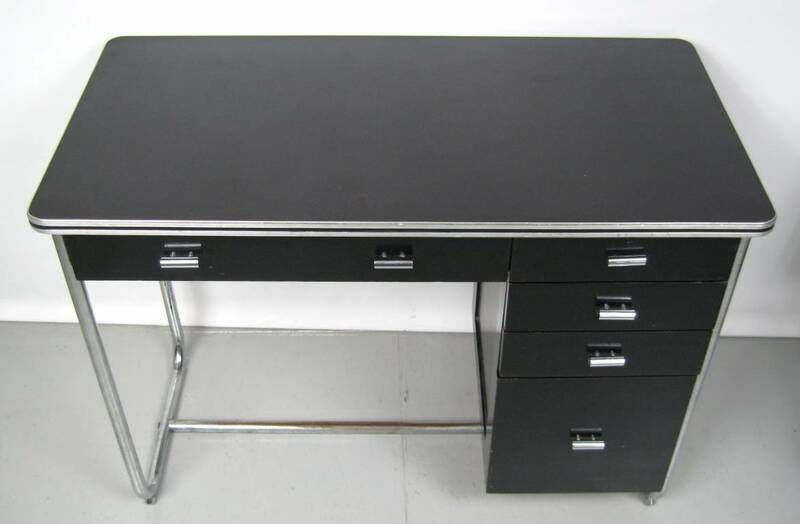 Late 1930s streamlined deco style office desk with laminate top. 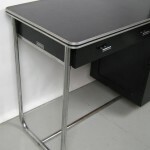 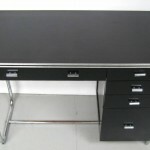 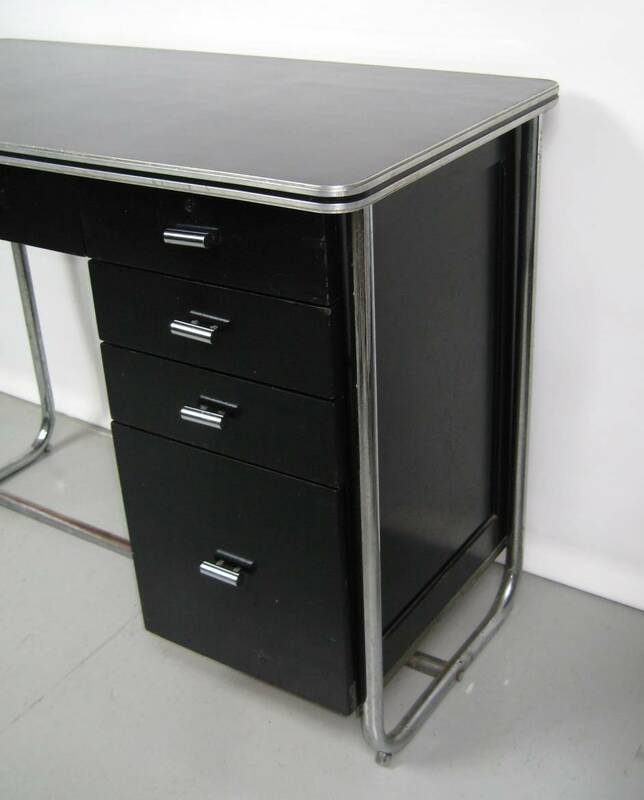 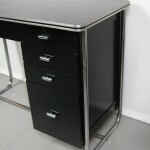 Very unique bent tubular chrome base with three pull-out enameled metal drawers. 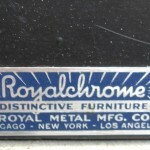 Original and intact chrome drawer pulls. 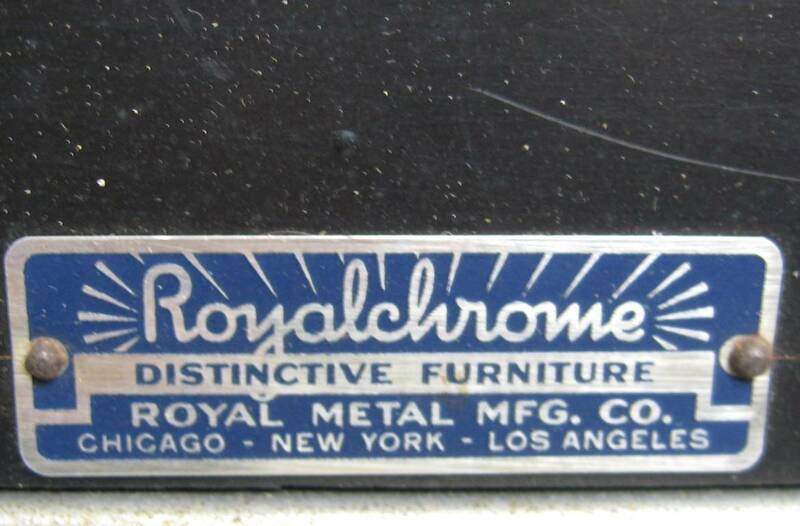 Manufactured by the royal metal manufacturing co. 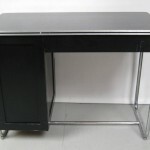 It also has a glass top. 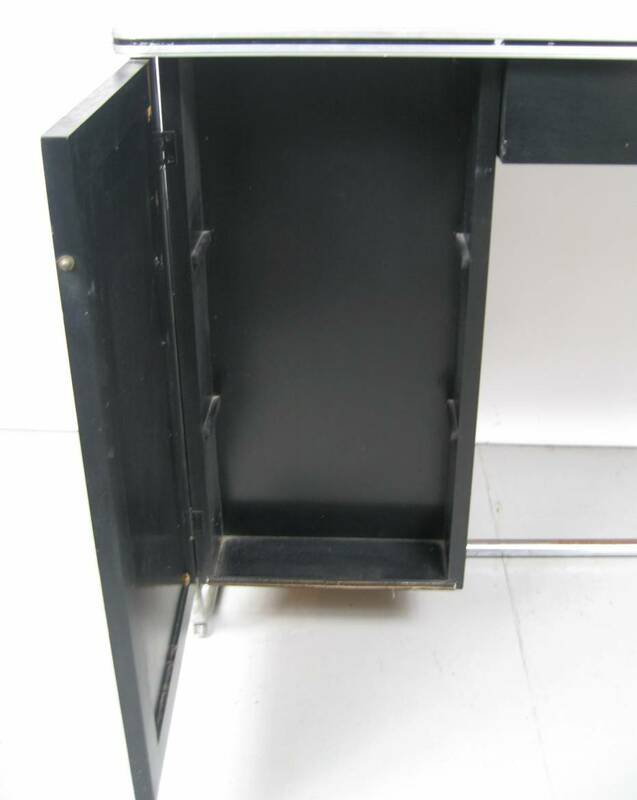 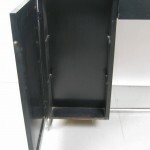 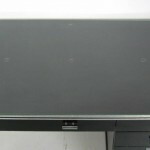 Back of desk has a hidden compartment see photo 6 no shelves.